Thank you to all the Cookie Elves, Santa’s Helpers and the many wonderful patrons who supported our Holiday Cookie Walk this year! 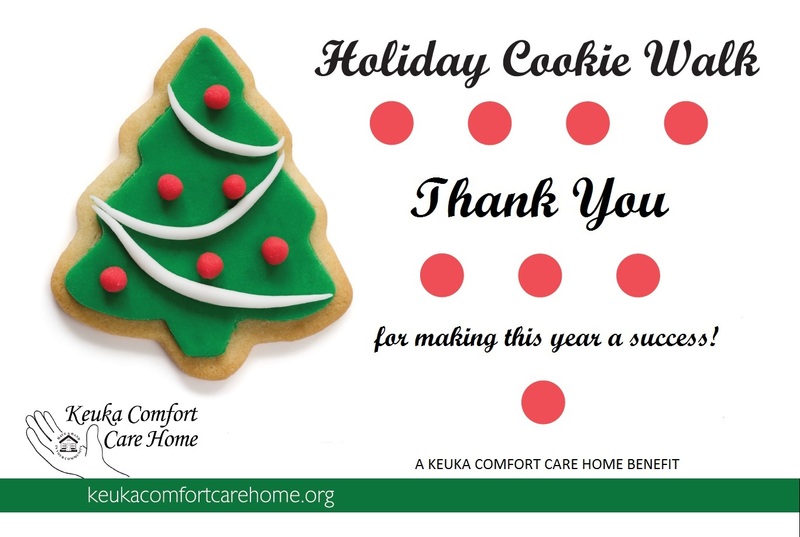 We had a fabulous selection of cookies, candies, and sweet bread this year with just enough for everyone! Sherry Goldman donated a beautiful hand made wall hanging she made that was won by Jim Merritt. He was very surprised and thrilled. They sell out quickly, so come early! They don’t have to be Christmas cookies… any Winter Holiday will do! We have LOTS of ideas and LOTS of really great recipes, so let us know if you need either. If you’d rather just make dough, please do so! And we’ll make sure the cookies are baked and finished to completion! If you’d rather not bake, but just want to decorate, you’re more than welcome! Let us know!